When you pull up your business website and look through it, you may feel like it fails to properly support your business goals. If that type of feeling has been nagging you for awhile, it’s a clear sign that your site is in need of a redesign. Whether the specific reason you don’t feel confident in the design of your business website is because it’s too cluttered, the design looks old or there’s another issue that you feel is holding it back, the good news is Web Strategy Plus can help. While we guarantee that you’ll be extremely happy with the way your website looks once we’re done redesigning it, we want you to know that our process involves much more than simply creating a site that looks nice. Because we understand that the goal of your website is to generate more leads or sales for your business, every decision we make will be focused on that goal. As a result of putting that focus at the core of our redesign process, the end result of our work will be a highly optimized website for your business. Since getting targeted visitors to your website through various marketing channels can require a significant amount of effort, you won’t have to worry about those potential customers being wasted. Instead, your website will be carefully designed to get visitors to take the action you desire. As soon as someone goes to your website, you want them to feel good about what they see. Thanks to everything that we put into our redesigns, visitors will instantly trust your website and feel completely comfortable navigating it. In order for visitors to stay on your website and take the action you want, they need to have a positive experience from beginning to end. Because visitors can leave at any time, we ensure that issues like speed or inconsistency aren’t issues that cause visitors to hit the back button. Because people will access your website from all kinds of different phones, tablets, laptops and desktops, it’s important for your business website to look just as good on a 3.5″ screen as it does on a 27″ monitor. While there are many components of a successful SEO strategy, earning traffic from Google and Bing starts with having a website that has all of its on-page elements properly optimized. As a result of focusing our website redesign work around actual business goals, our clients regularly experience a noticeable boost to their bottom line thanks to their newly redesigned website. If you want to have a website that’s going to work for your business and accomplish the goals your business needs in order to thrive, contact us today to schedule a free consultation. Need help with your Web Strategy? We offer a free instant web strategy score. You may also request a consultation and live website review to help you identify the exact areas of your marketing plan that need improvement. Web Strategy Plus provides a “one stop shop” full service digital marketing agency where all of your marketing efforts are tied together to drive more leads to your business. 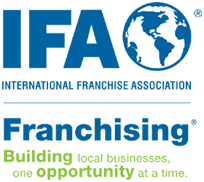 We proudly serve local businesses and franchise networks of all types worldwide. Whether you require a professional website or need help promoting it, we can help you with it all. 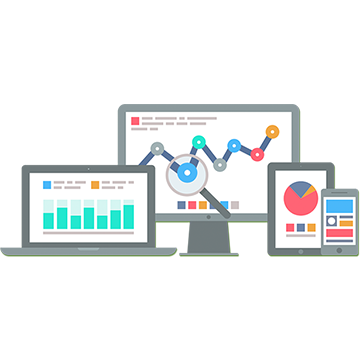 Our main goal is to provide cost effective web strategies that drive results.